The hostile behavior and words on the part of the PKK-PYD-Kandil triangle, particularly in recent years, toward Muslim Kurds and the peshmerga under the leadership of Masoud Barzani reveal one very important fact. The true aim of the organization is not, as it maintains, to defend the interests and liberties of the Kurds. 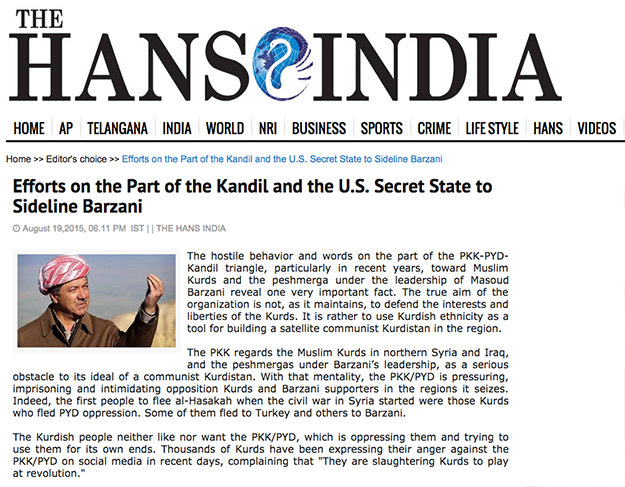 It is rather to use Kurdish ethnicity as a tool for building a satellite communist Kurdistan in the region. The PKK regards the Muslim Kurds in northern Syria and Iraq, and the peshmergas under Barzani’s leadership, as a serious obstacle to its ideal of a communist Kurdistan. With that mentality, the PKK/PYD is pressuring, imprisoning and intimidating opposition Kurds and Barzani supporters in the regions it seizes. Indeed, the first people to flee al-Hasakah when the civil war in Syria started were those Kurds who fled PYD oppression. Some of them fled to Turkey and others to Barzani. The Kurdish people neither like nor want the PKK/PYD, which is oppressing them and trying to use them for its own ends. Thousands of Kurds have been expressing their anger against the PKK/PYD on social media in recent days, complaining that "They are slaughtering Kurds to play at revolution." 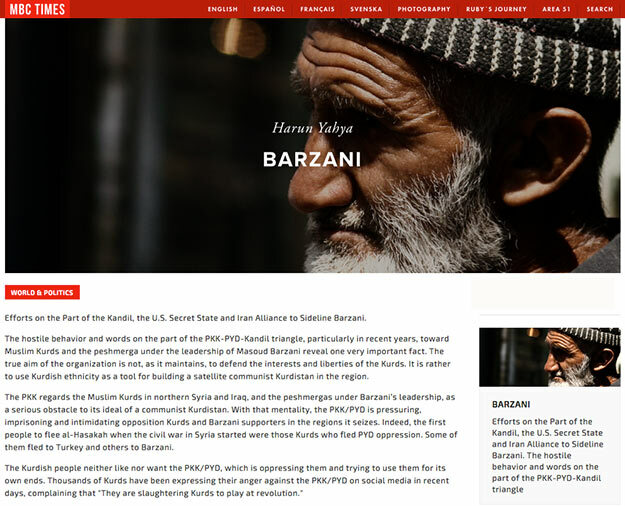 In recent weeks, both the PKK and one part of the Western media that supports the PKK have initiated an intensive smear campaign against Barzani. 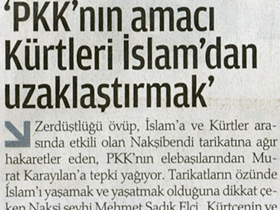 Pro-PKK circles in Turkey are suggesting that he is afraid of ISIS, or even supporting it. Pro-PKK accounts in the social media are spreading the allegation that the peshmerga units sent by Barzani to Rojava are collecting intelligence for Turkey, which the Turkish Army will use to attack the YPG. 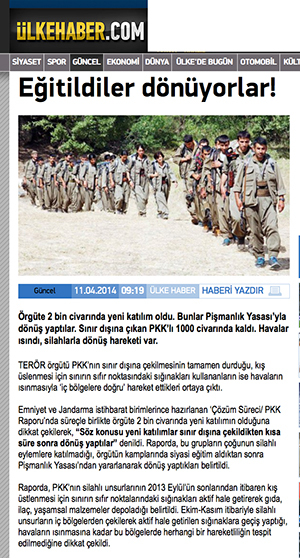 The PKK leadership in Kandil are constantly employing threatening statements against Barzani. Cemil Bayık and Duran Kalkan have claimed in recent reports in the pro-PKK media that the Kurdistan region under Barzani’s administration will be an active player in an agreement with Saudi Arabia and Erdoğan to invade Rojava. The piece in question carried exceedingly unpleasant allegations, insults and hate-filled statements concerning Barzani. There is only one aim behind all this black propaganda against Barzani; to take over the area of northern Iraq controlled by Barzani and add it to the region already seized by the PYD in northern Syria. To that end, the PKK is striving to build an administration independent of Barzani in the area of Shingal, currently controlled by the northern Iraqi Kurdish administration. They are using communist propaganda to encourage the Yazidis there to join them and establish a new canton affiliated to the PKK. Barzani has reacted strongly against these moves and has told the PKK it is not going to be establishing any cantons whatsoever. A statement from Barzani's Kurdistan Democratic Party said that the PKK initiative aimed at establishing a canton in Shingal was an act of contempt for the Iraqi Kurdistan Regional Government laws and the will of the people. 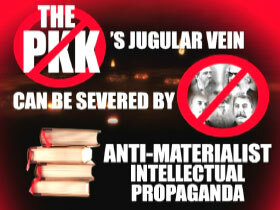 However, nobody should imagine that such statements will be enough to stop the PKK. The most interesting thing in this entire picture is that some circles in both the U.S. and Iran are playing the PKK card against Barzani. The “map of the new Middle East” that American strategic institutions have long been considering is known to include an entity known as Kurdistan; the important thing, however, is what kind of Kurdistan it will be, and where its borders will lie. 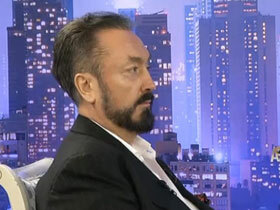 It would be the worst possible evil to abandon the Kurdish people, who have suffered so much at the hands of Saddam and Assad, to the initiative of a communist organization in direct opposition to their beliefs, values and world view. The situation emerging in Iraq may well lead to independence for the Barzani regime in the near future, and Turkey would not be alarmed at its Kurdish brothers in Iraq enjoying greater freedom under a moderate, devout and democratic administration. However, neither Turkey, nor other countries in the region nor the Kurds, will accept a communist Kurdistan established by the Marxist-Leninist terrorist PKK group to spread its bloody ideology. The U.S. secret state apparatus appears to regard a PKK-controlled communist Kurdistan as useful in terms of establishing a wall against alliances between Muslim countries and in terms of manipulating the region in line with its own interests. Certain circles in Iran are planning to use the PKK against Sunni groups in the region and therefore to strengthen it against Barzani. 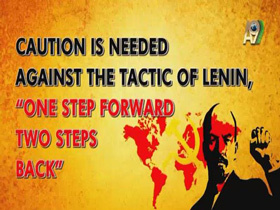 However, no matter what the aim, one must never forget that the PKK is a communist, Stalinist killing machine that disregards all values for the sake of its own red ideology and has made treachery a way of life. If the aim is to support the Kurdish people of Iraq and Syria and improve their lives, then it will be the right and rational decision to support the honest and devout Barzani, who is highly popular with the Kurdish people, rather than the PKK/PYD, which is diametrically opposed to the Kurds’ beliefs, moral values and culture. Such a choice would also be most favorable for the U.S., Iran and other countries in the region.